Why should I use an Interactive Projector in my classroom? Sometimes, a classroom or meeting room may benefit from using an Interactive Projector for various reasons. So, here, we’ll be going over a few reasons as to why you may find a lot of use out of an Interactive Projector as a beneficial option. When you have a larger room which will have your audience being at all different distances, and having a screen which can be projected at a larger image will be much more beneficial. There was a study done by Epson which explains the impact of trying to get students to read all details on a 70-inch screen, this is covered in our blog post on Why “Display Size Matters”. It can change the recall the audience members have on the subject, leading to worse exam results. 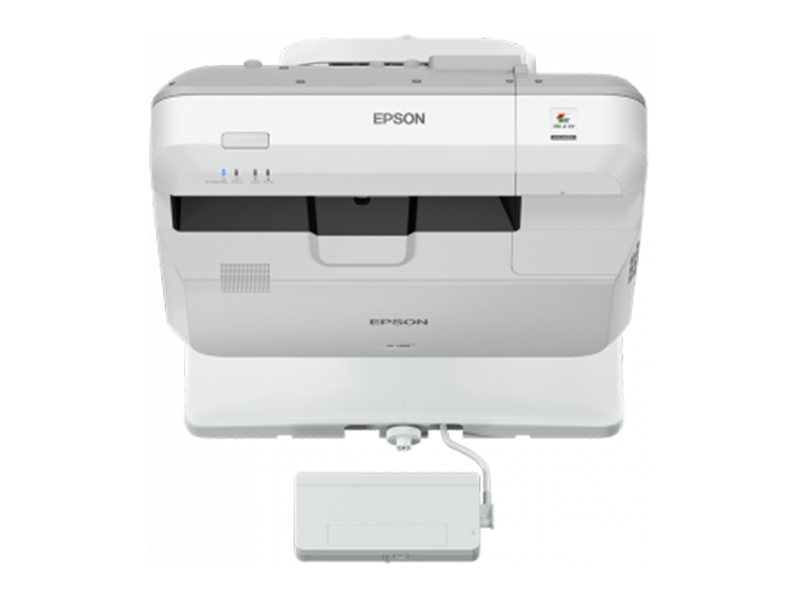 Epson Interactive Projectors allow a scaleable image up to 100 inches which would be very helpful if you are teaching in a lecture theatre, as you have the best options available to allow all audience members to see, no matter where they are in the room. Interactive Projectors don’t cost a lot to run, they are fairly cheap on a lifetime basis, and for this reason, they may be more beneficial to be in your school. Additionally, you will find that you don’t need to replace parts of a laser projector as often, this is because of the bulb in a standard lamp projector, this changes the lifespan from 3,000-6,000 hours on a lamp projector to (on average) around 20,000 hours, keeping replacement cost down (an example of a laser projector we have can be found here). The cost benefit means that several rooms can be upgraded at the same time allowing you to upgrade certain rooms and leaving other rooms with out of date technology. The interactivity is a very important aspect, this is because students will be able to get more out of their lessons by not just looking and note taking, but the kinaesthetic learner will benefit from being able to interact with what is on the screen. Seeing things move and having the ability to get people involved makes students become more engaged, allowing you to keep attention on you and the lesson, as well as the information staying with the students for longer. Engagement is a massive part of students retaining information, and interactivity is the perfect way forwards. To take a look at the range of Interactive Projectors that we have on offer, click here.